The main Roman Catholic church in Montevideo, Catedral de Montevideo is an ornate, European-style building in the heart of the city. A vestige of Spanish colonialism, a brick version of the cathedral was constructed in 1740, with the current Neoclassical structure replacing it soon after in 1790. A plain exterior hides the elegant interior of gold and marble. Inside you'll also find tombs of notable Uruguayan figures, as well as those who fought during the British invasion. 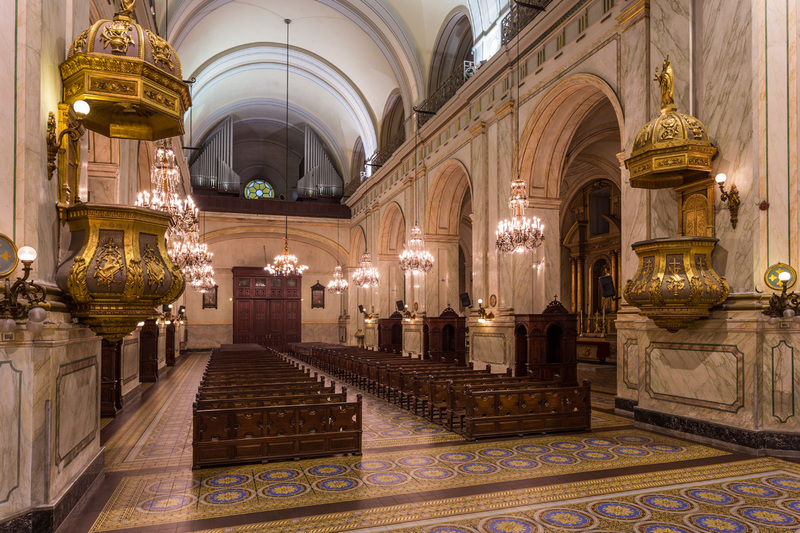 Make Catedral de Montevideo a part of your Montevideo vacation plans using our Montevideo trip builder . The cathedral is opposite the Constitution Square. The cathedral and a beautiful architecture. Its simple entry hides the inner grandeur. Beautiful in every detail is worth wasting some time to observe everything with great attention. A solid but not over ornate Baroque building near the centre of Montevideo. Pristine condition, clean, grand. Lovely place for a quick stop.